Do you love cheese? Have you always loved cheese? 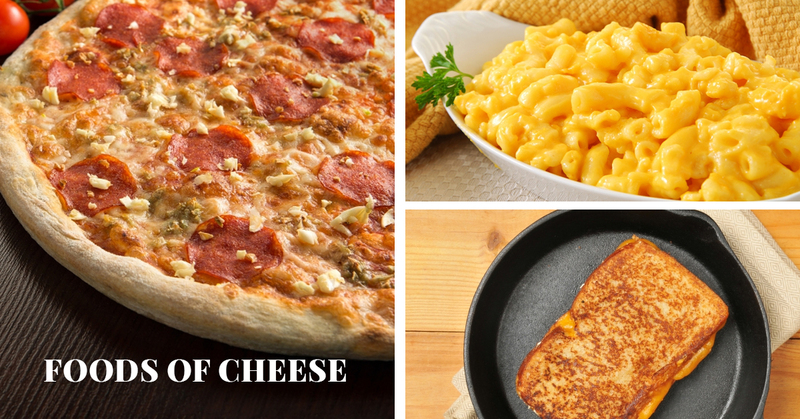 What’s your favorite cheesy dish to eat? Is it pizza? What about macaroni and cheese? America is known for their amazing concoctions of food, and cheese is a topping that many American’s can’t go without. If you love cheese, and moreover, you love food, keep reading today’s blog post. We’re about to give you the most popular foods topped off with cheese that can be considered some of the best foods for cheese-lovers everywhere. MMMmmmmmm… mac and cheese what a delectable dish of cheesy goodness. Everyone loves mac and cheese right? We do! Enjoying a soft and textured bowl of your favorite mac and cheese is relaxing and satisfying. What’s better than chili rice topped off with cheese? Not much. If you love Mexican food and you love cheese, you will have to give this rice and cheesy casserole a shot. This dish offers a pop of flavor, and it’s easy to make. American food is usually simple, just like a grilled ham and cheese. With perfect toasted toast and beautifully melted cheese, you’ll have a grilled cheese that you’ll love to devour. But, let’s not forget the ham! What’s a grilled ham and cheese without the meat? Clearly, just a grilled cheese. Make your sandwich the best it can be and order a grilled ham and cheese from our American food restaurant in Hobart to have all of your taste bud dreams come true. Pizza is a delicacy in the United States. Not only can it be made to order, but it’s affordable and fast. It makes for the perfect meal or late night snack for yourself or a group of friends. It’s filling, satisfying, greasy and delectable; plus, it can be found in every city. Finding a restaurant with American food you love is easy when you live in Hobart. At Lake Park Restaurant, you can try all of our cheesiest American foods. Not only do we offer great prices, but we have the best cooks in town. Feel free to check out our menu online today or stop by to taste your favorite dishes. If you have any questions, feel free to reach out to us by giving us a call at (219) 809-2015.